One inherent but still slightly weird aspect of section hiking an Appalachian Trail state in sections is to continually resume where previously departed. It’s nothing short of trail déjà vu. In this case I picked up at the Kinsman Notch parking lot on U.S. Route 112. 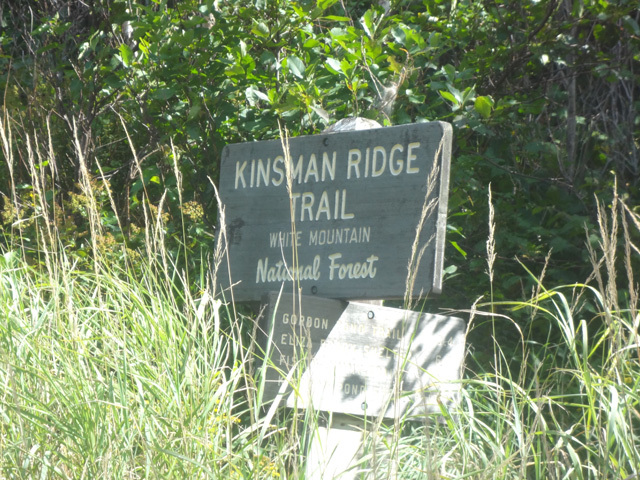 For those thru hiking, the early stages of the Kinsman Ridge Trail offer a brief respite from the White Mountains’ gauntlet. 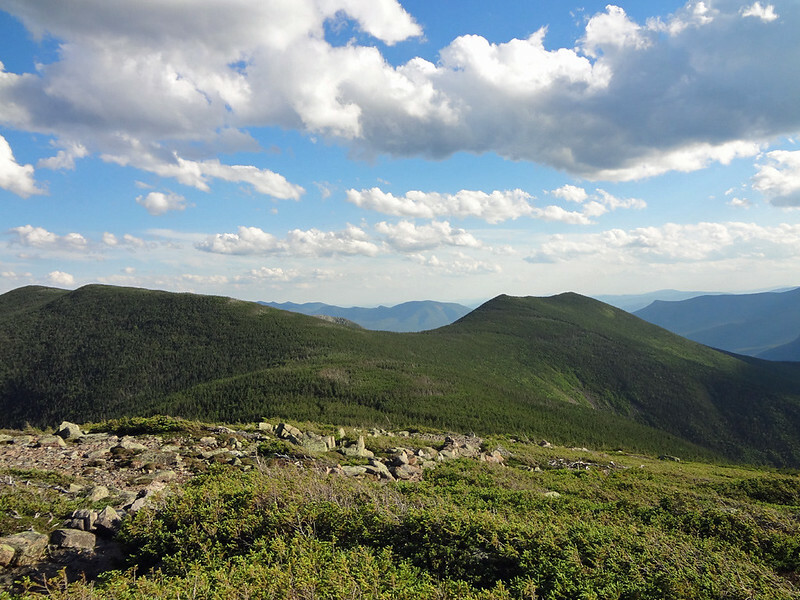 Consider it the Appalachian Trail version of the calm before the storm, a rollercoaster ride of mountains that takes off with South Kinsman and doesn’t relent until after Maine’s Bigelow Mountain Range. Don’t get me wrong, it’s very much worth the ride. Easily more than five flags worthy. 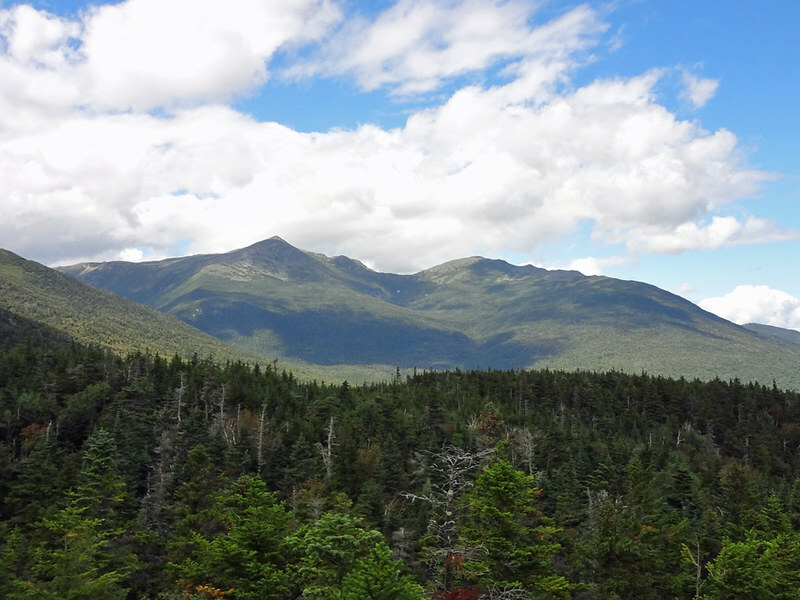 Oh, sure, there’s another mountain between Moosilauke and South Kinsman, but at 3,478 feet, the east peak of Mt. Wolf is merely a White Mountain speed bump. Not to brag (Lord knows I’m not the speediest backpacker on two feet), but I hardly knew ye. On a good day, Mt. 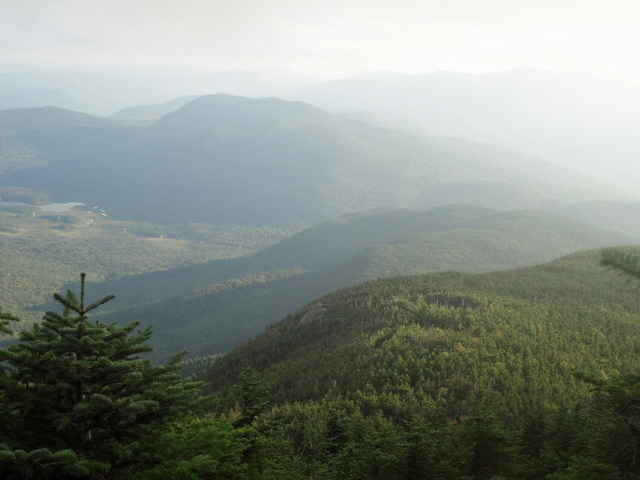 Wolf does offer a view of Franconia Ridge worth admiring. I arrived at the Eliza Brook Shelter around 4 PM. The plan was to continue along and spend the night at the Kinsman Pond Shelter, but Eliza gave me pause. 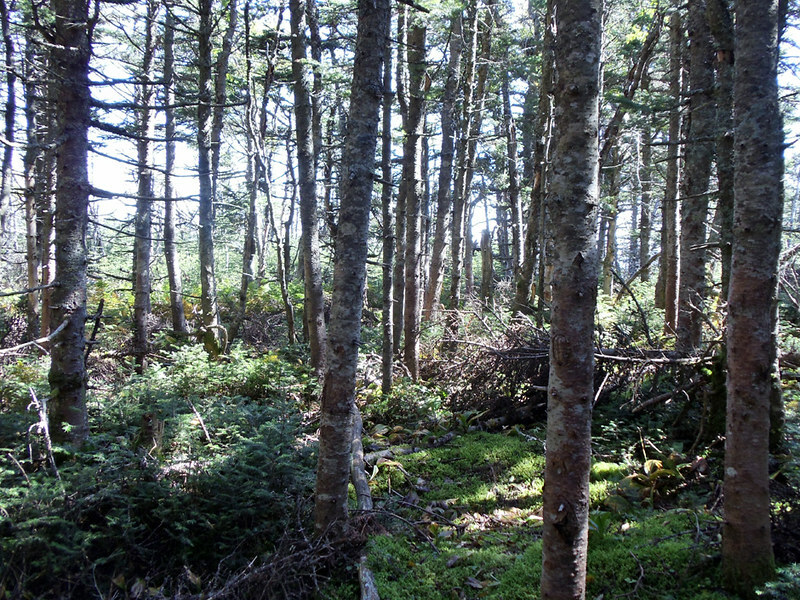 The shelter is relatively new and Eliza Brook is a strong water source. For thru hikers on a budget, it’s also the last shelter that doesn’t have a caretaker and a fee for the next several camp sites. Alas, I stuck to the plan and carried on. 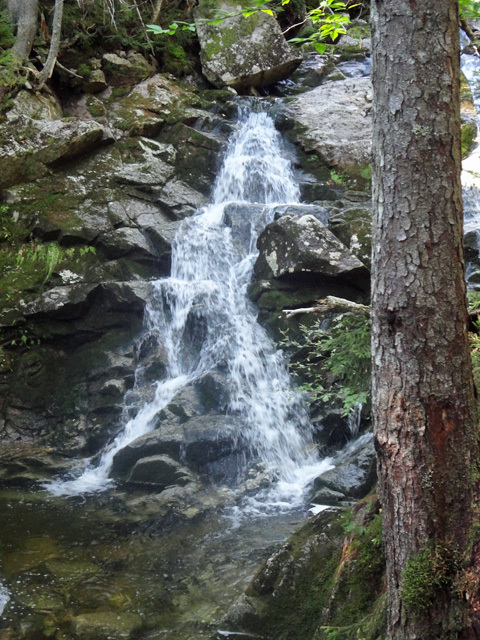 The trail parallels Eliza Brook for a bit and there’s a cool series of cascades as the hike begins to ascend South Kinsman. 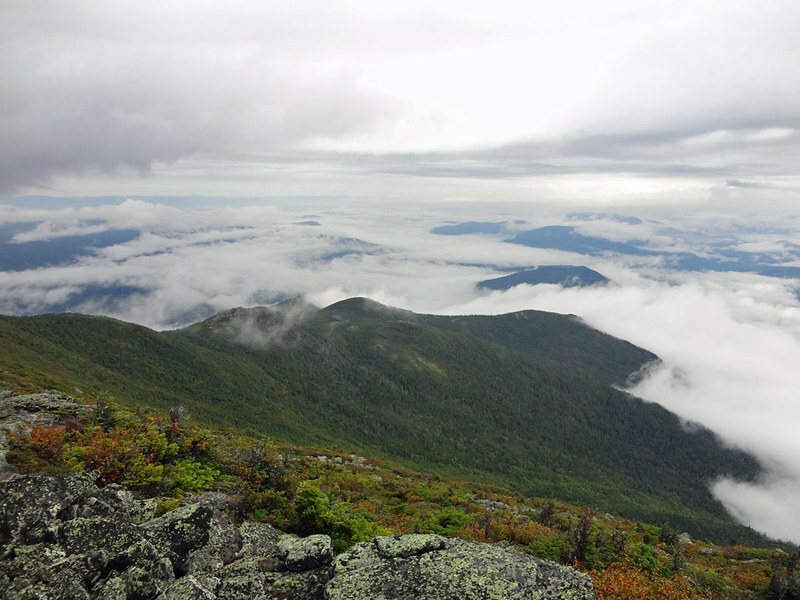 Here is where I tell a tale of what not to do on the Appalachian Trail. With it being late in the day and having two peaks of 4,300 and 4,293 feet before the next shelter, I wanted to keep the pack as light as possible. I also thought I had enough water in my Camelbak to get me up and over. And because I knew I was racing the clock with available daylight, I decided to forego the simple step of taking off my pack to check my reservoir as I continued to pass what seemed a never-ending water supply. 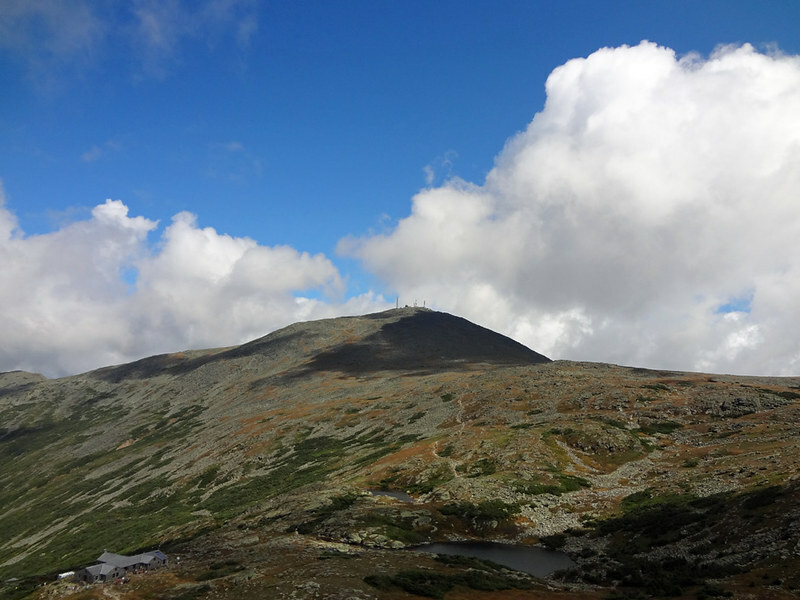 For any thru hikers who might happen upon this post, I feel an obligation to forewarn you that the Kinsman Pond Shelter is in a major area for recreation tourism in New Hampshire. By the time I arrived at dusk all tenting spaces were taken. The shelter, however, is a sizeable one with two levels. The next morning I awoke to thunder boomers. 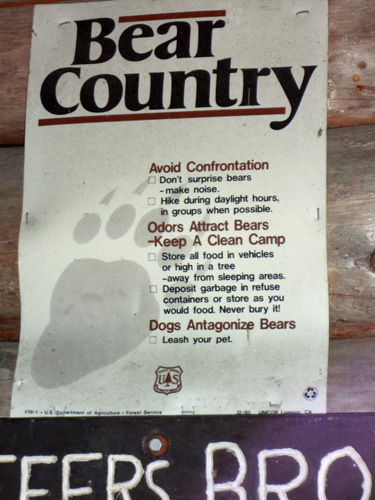 Since thunderstorms are more typical for the afternoon, this was not a welcoming sign for my pending hike of the Franconia Ridge Trail. Here’s another pitfall of section hiking an Appalachian Trail state in sections. Thru hikers in this situation have the opportunity to lay up prior to exposing themselves to the elements on the ridge and await another day/time to continue. When out for a long weekend, it’s all or nothing. With the weather forecast predicting an 80 percent chance of thunderstorms, and having already squandered my supply of stupidity on this trip, I chose nothing. It wasn’t easy to do, but it was the right choice.